My friend Robin made me one of these a few years ago and I loved it! Besides being a thoughtful gift, it's a cheerful centerpiece for any table - and probably lasts longer than a real cake will. (Or at least in my house!) 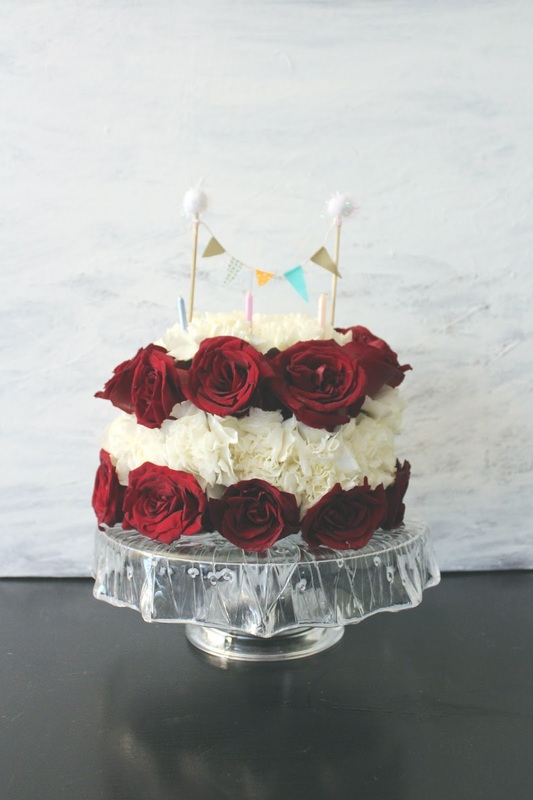 Made with real flowers and floral foam, find a video tutorial at Jen Kim Made. Such a clever and pretty idea!